David started his professional career as a science teacher at the high school level, but he quit teaching in 1974 and has been a professional potter since that time. David taught Ceramics at Southwestern College in Chula Vista from 1985 to 1997 and at Grossmont College, La Mesa in 1996. 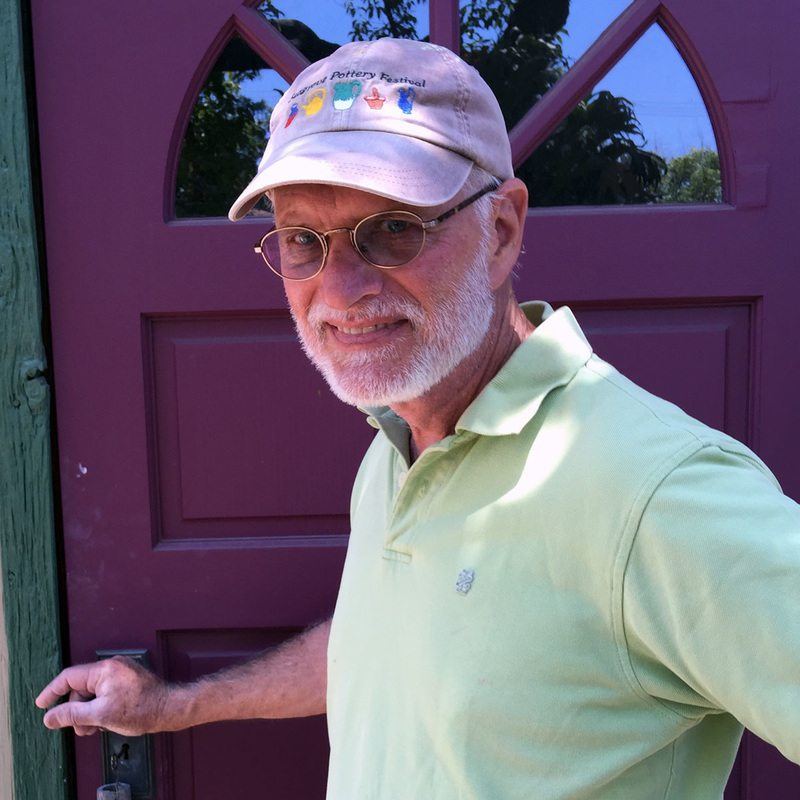 Since 1974, David has maintained his "Clayworks" studio in Spring Valley. He has had a studio sale two times a year for the past twenty-five years. These sales have grown into quite an event featuring his wife Mary and fellow guild members, and often other potters. He is a member of Allied Craftsmen, the San Diego Artists Guild and the San Diego Potters' Guild, serving as President from 1997-2000. David makes work from porcelain and stoneware He produces one of a kind functional work; bowl, casseroles, decorative vases, etc. Lately he has been working on a series of pieces inspired by the American Art Pottery movement from the first part of the 20th century. He is known for his copper red glazes. He also does ceramic figurative sculpture with a sort of surreal twist. You are welcome to come by his studio to look at the work in his showroom. Please call to make sure that someone is in the studio.